Thermal IR imaging has been demonstrated to provide superior performance over visible light (IBIS/NIBIN) image collection and database search to determine common origin of fired ammunition components to achieve Firearm/Toolmark Identification. Patented methods and devices have been developed to eliminate the errors induced by illumination artifacts and by human subjective decisions in current IBIS systems..
IRID’s toolmark ID workstation performs automated 3D imaging and database comparison to produce high-likelihood matches between cartridge cases and shot shell casings using impression and striation toolmarks. Unlike IBIS/NIBIN, it requires no lighting and therefore no subjective lighting adjustments. Fully automated, it provides rapid imaging and database search with high reliability. 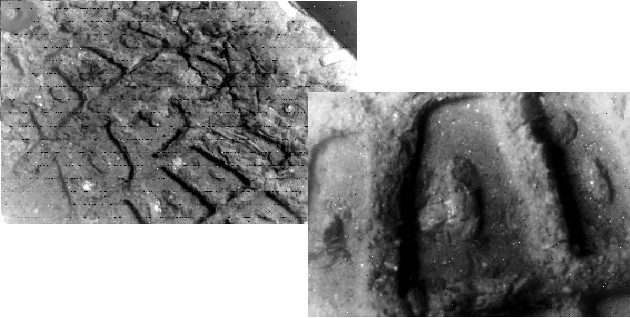 Cross-spectral comparisons of IR vs VL images demonstrate the ability of new IR-based systems to utilize archival VL databases such as the NIBIN system. Automated image comparisons are not evidence. Certified firearms/toolmark examiners must testify on their personal physical examination of toolmarks on two ammunition components using a comparison microscope. Difficult cases may take an examiner weeks or months to reach a decision; and the decision may be that the comparison is inconclusive. IRID has plans to develop a thermal IR image comparator (TIRC) to assist examiners with difficult cases by removing the need to precisely replicate oblique lighting parameters for two components being compared. TIRC is expected to significantly reduce examiner decision time and increase confidence. CrimeLink is a miniaturized toolmark workstation under design for use at crimescenes and laboratory test firings. It facilitates rapid evidence collection and analysis to support investigations and links to high priority gun crimes. Design incorporates cloud-based updating & coordination with tactical units. Chart shows the results of tests with thousands of Fired Cartridge Casings. 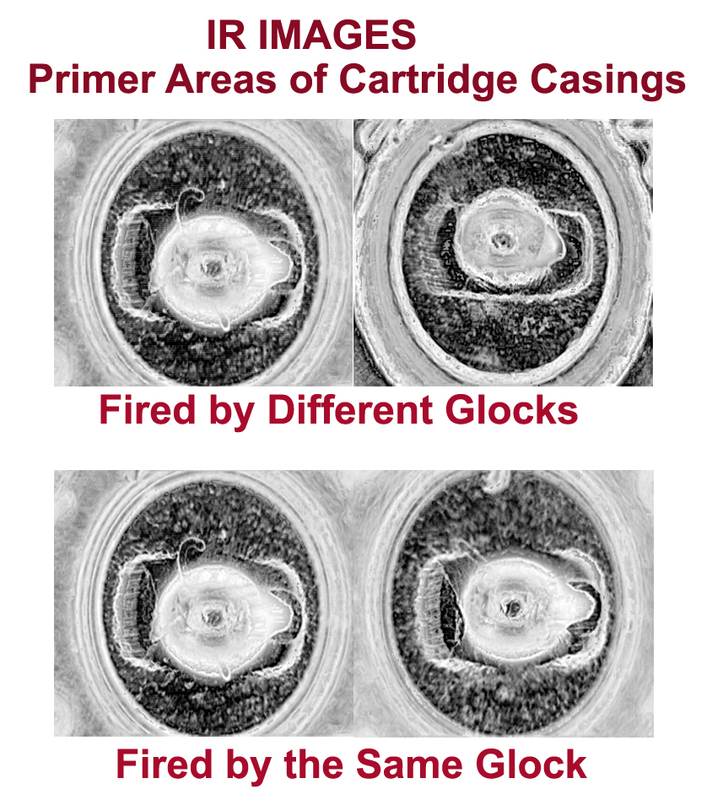 Accuracy of Matching Fired Cartridge Casings is a function of imaging spectrum. Visible Light (VL) images matched against a database of VL images represents the current IBIS system VL2VL. 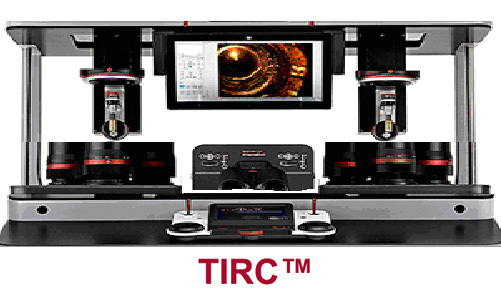 The IRID system uses IR2IR comparisons to produce significantly higher accuracy than IBIS. 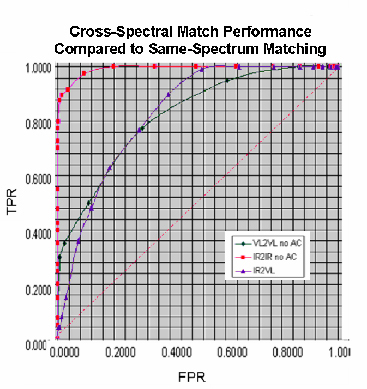 Cross-spectral IR2VL comparisons show higher accuracy than VL2VL comparisons for true positive rates of 80 to 100%. This illustrates the ability of IR firearm/toolmark identification to utilize archival VL databases. 3DIR imaging provides an immediate 3D digital model of footware and tire impressions. The consistency of feature elements at different magnifications facilitates aggregating multiple images into an integrated model. © Copyright IRID Inc. 2016. All Rights Reserved.